The imagery on my 2006 toy is scanned from an antique Christmas card saved from Hoss family matriarch, Lavalie Bixby Hoss's, possessions. She had passed away in 2003. 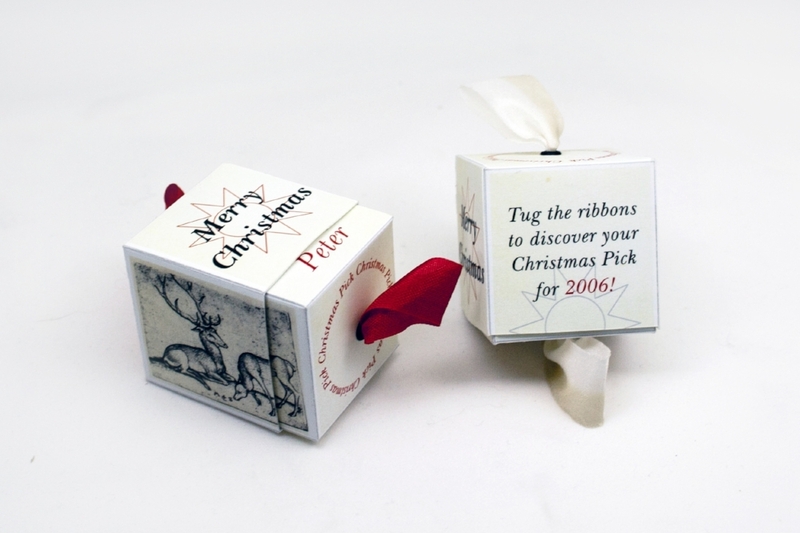 The ribbons allow the box to part only to the point that the reindeer image is completed. It's then that the pick name is also revealed. The toy box is a 1 1/2" cube, extending to 2".